Carl spent a year researching and developing this pedal for the vintage guitar nut in all of us. Plug into the Classic Chorus, step on the Bypass switch to turn the effect on, adjust the speed and depth knobs to obtain your favorite chorus effect and then bring up the level to show off just how good you sound. 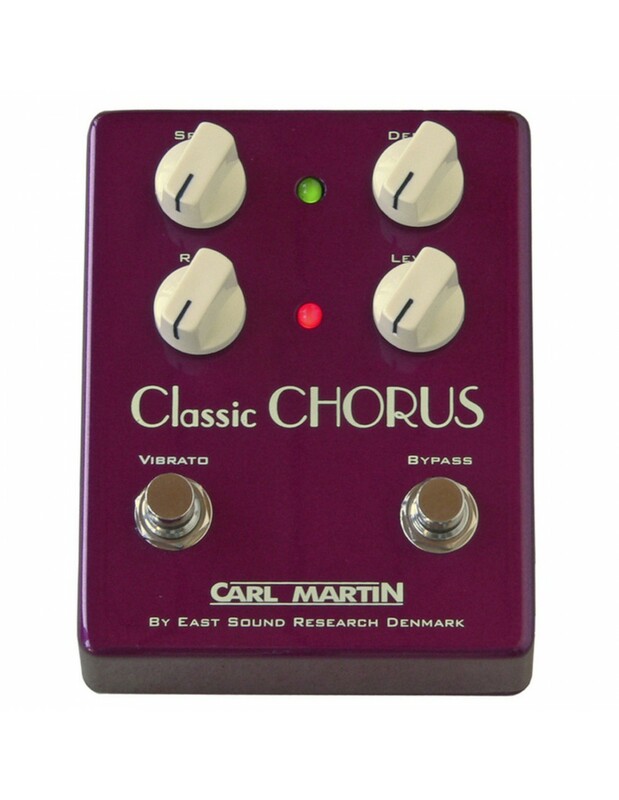 You will be amazed at how this pedal takes you back to the ‘day’ with it’s full, round, vintage chorus sound.